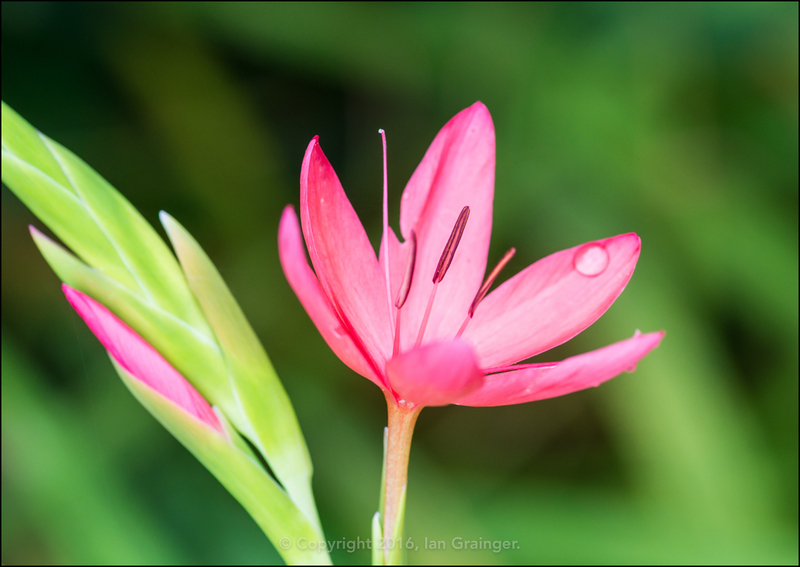 This is the River Lily (Hesperantha coccinea, formerly classified as Schizostylis coccinea), and also known as the Crimson Flag, or Kaffir Lily. This year it seems to have flowered early in my dad's garden, as it usually doesn't appear until the end of September. 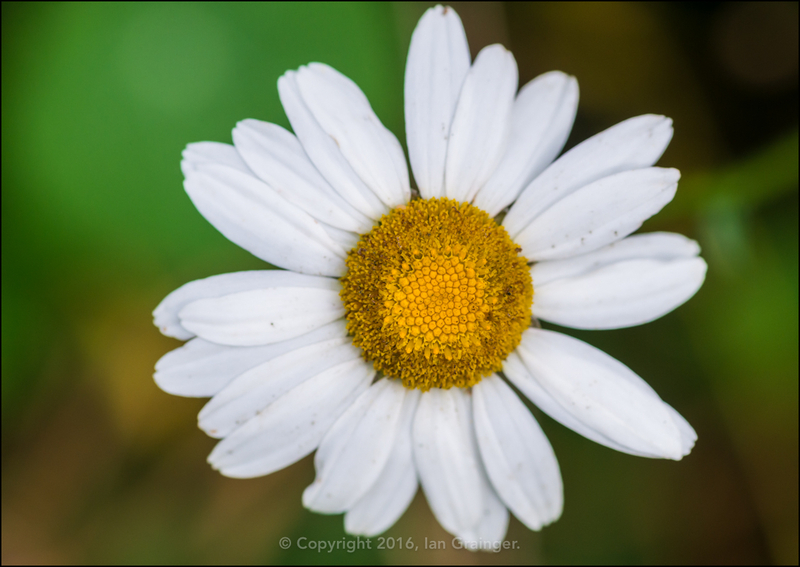 To find out more about this lovely flower, and to see more images, take a look at the article I wrote in October last year. 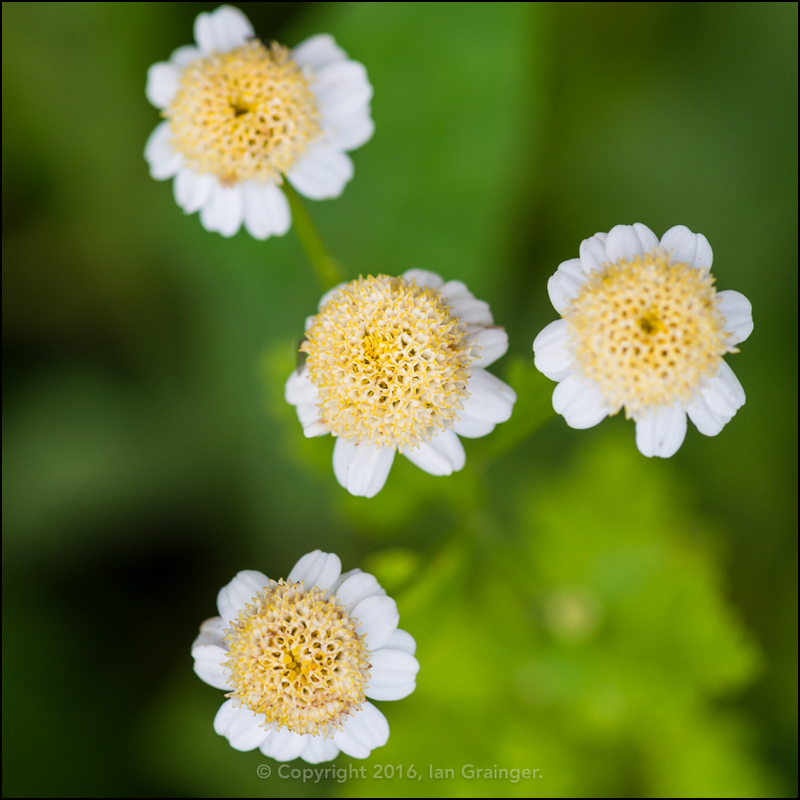 We last saw the Feverfew (Tanacetum parthenium) back in June, but like many flowers at this time of year, we're seeing them return with a fresh set of blooms. 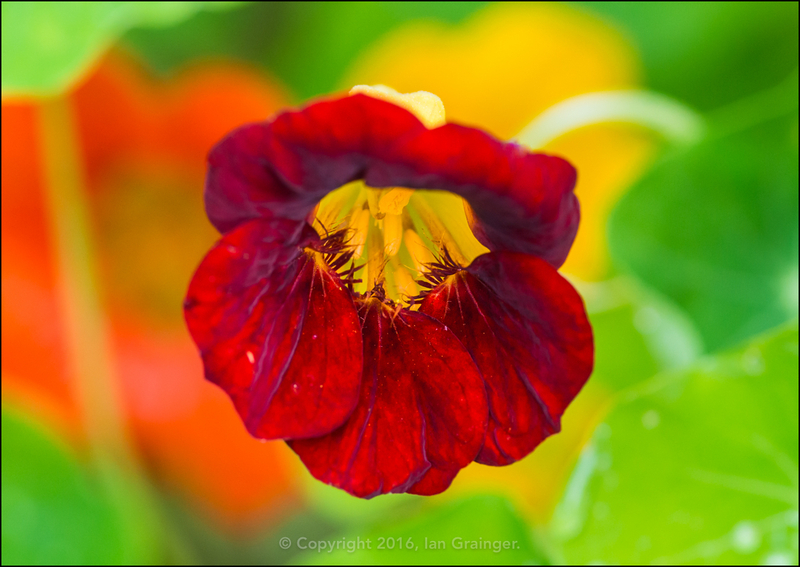 The Nasturtiums (Tropaeolum) have flowered all summer long in dad's garden, but not many have been quite so alluring as this dark red specimen. 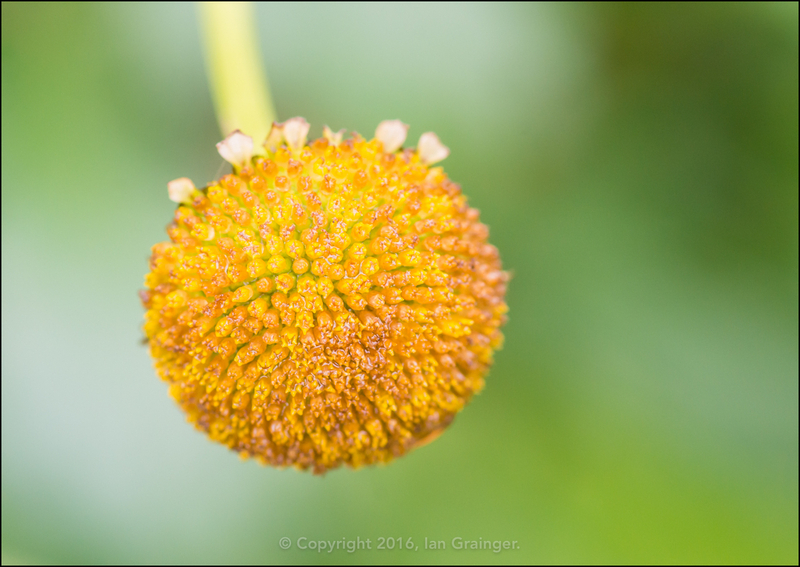 Those that follow my blog regularly will know that I sometimes love to get as close as possible to nature, and see what is going on inside a flower. 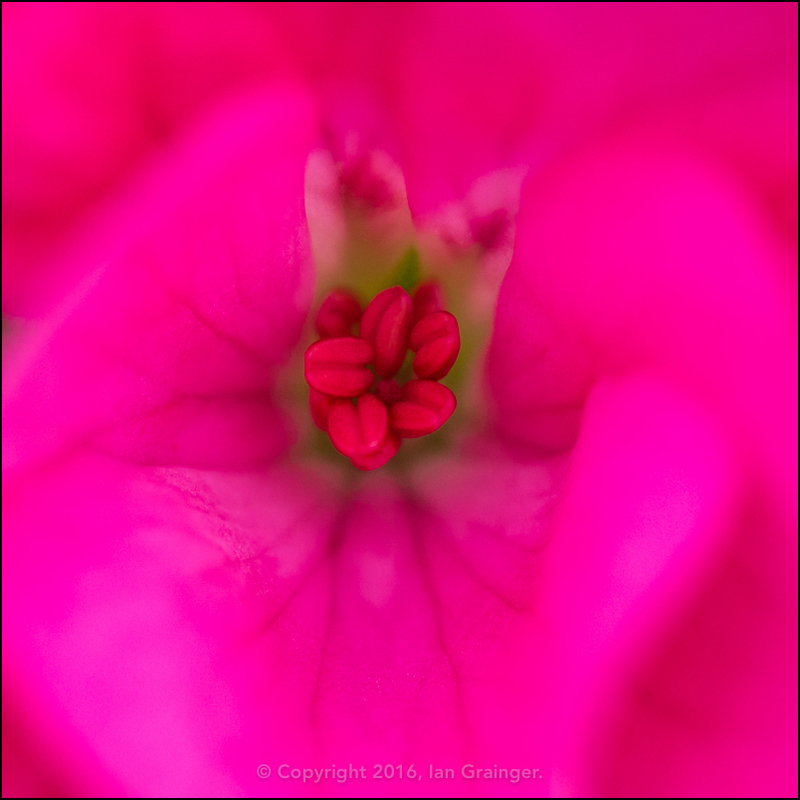 This was one of those occasions when I went peeking inside of a Pelargonium bloom. 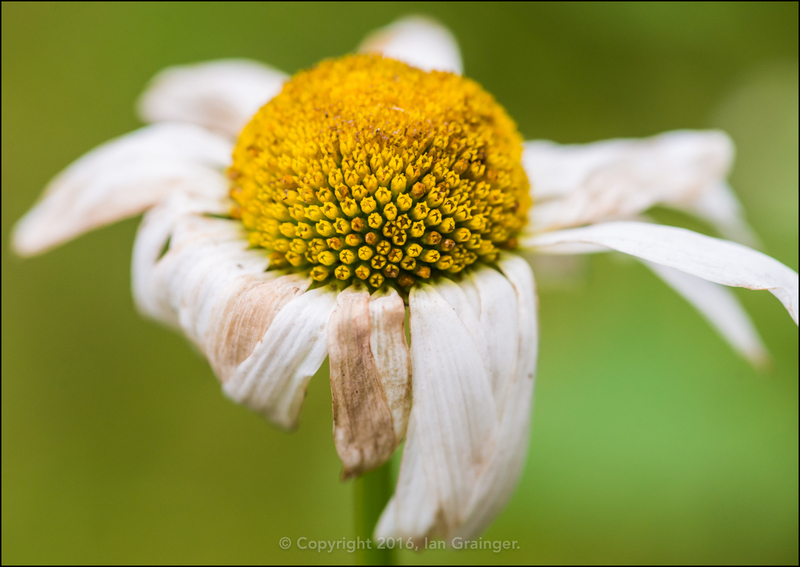 ...while others have happily gone bald, and have lost all of their petals! 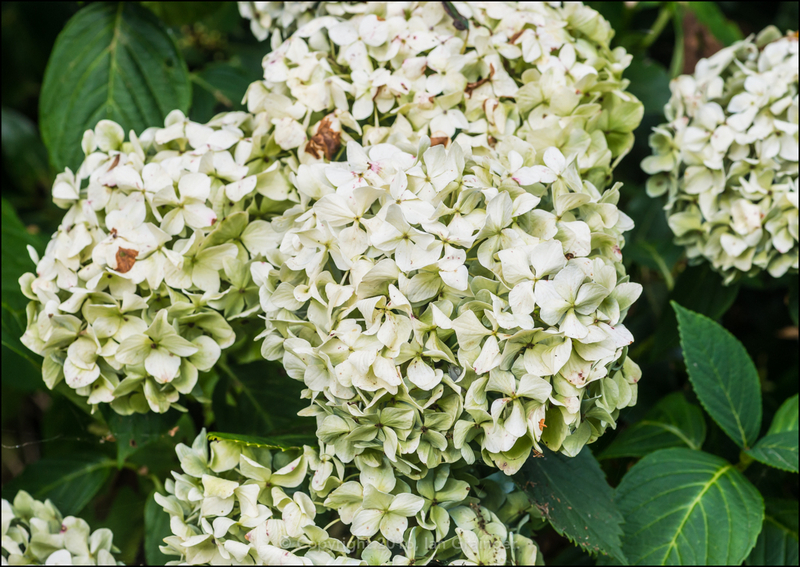 The Mophead Hydrangeas (Hydrangea macrophylla) have definitely given up, and have admitted that it may be time to shut down for autumn. 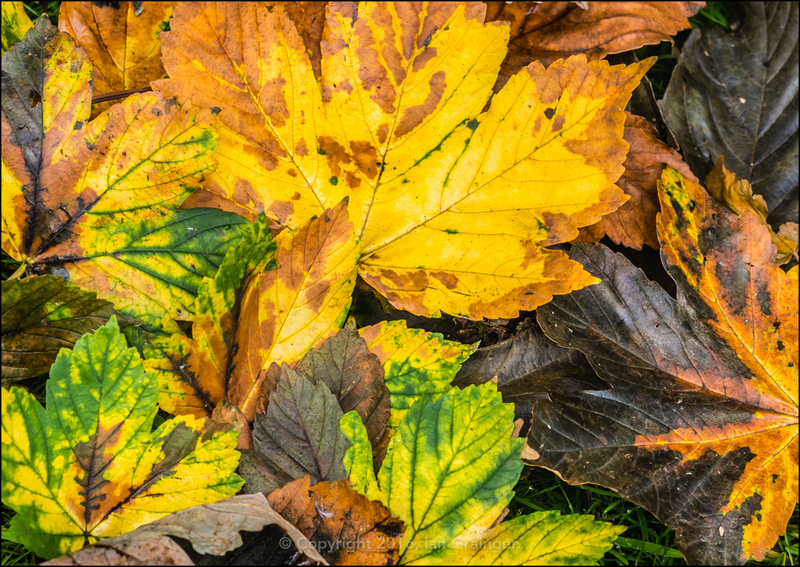 Just in case there was any doubt that autumn was on its way, this collection of Sycamore leaves definitely have that autumnal look about them. 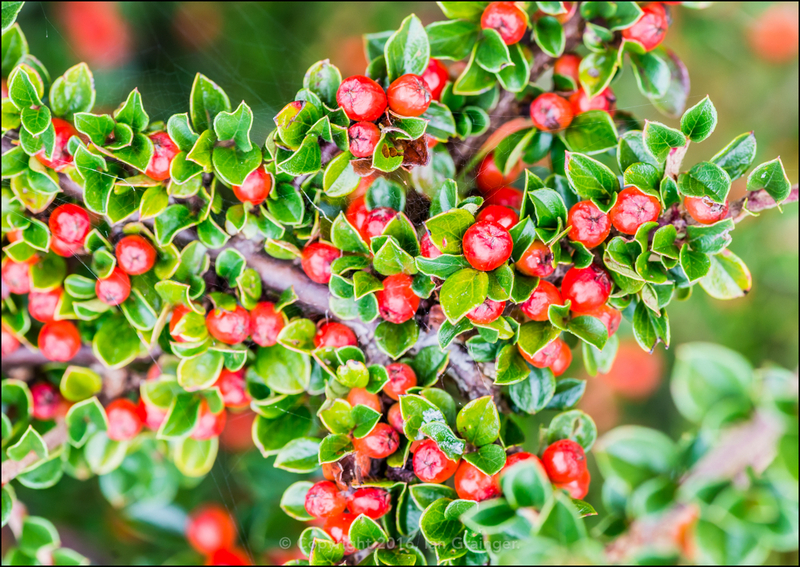 In fact the Cotoneaster bush was going a step further, and had already shod itself in its coat of bright red winter berries. 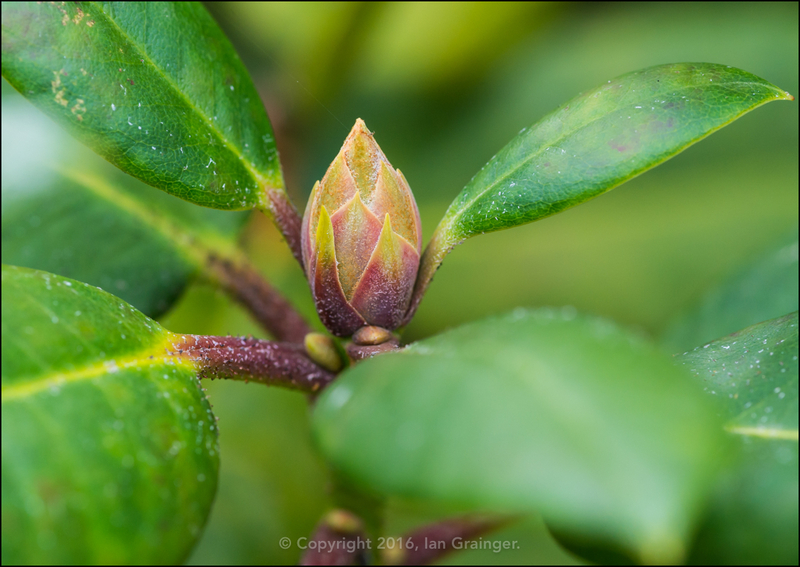 Some plants were looking even further into the future, with this Rhododendron bush already starting to produce flower buds that would be opening next springtime. 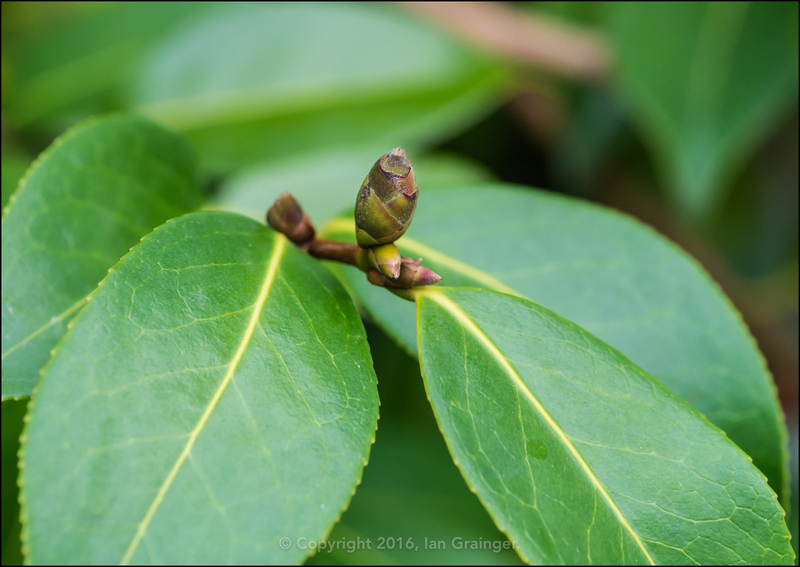 It wasn't the only plant in the garden doing this either, as you can see from the flower buds starting to form on this Camellia bush. 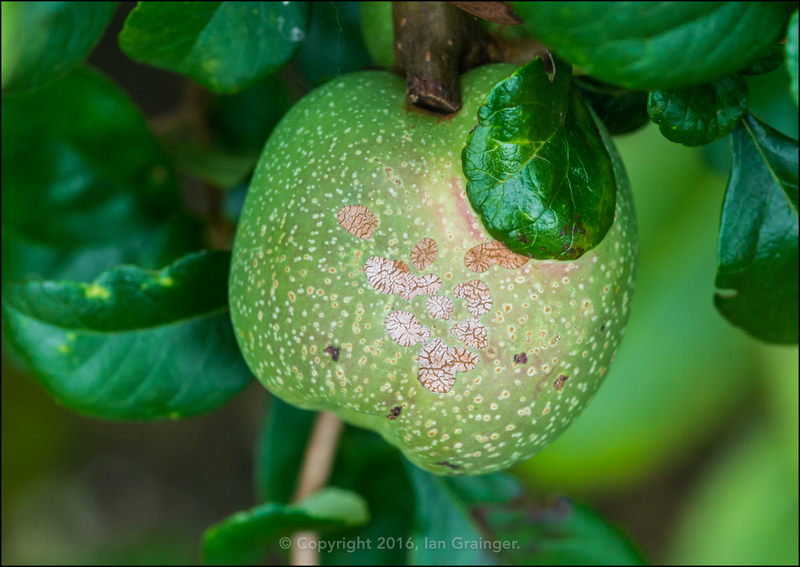 I'm not sure what was going on with this Quince (Chaenomeles) fruit though. Does anyone know what that strange pattern is forming on the skin? Meanwhile, up in the treetops, there was high drama! Ha! 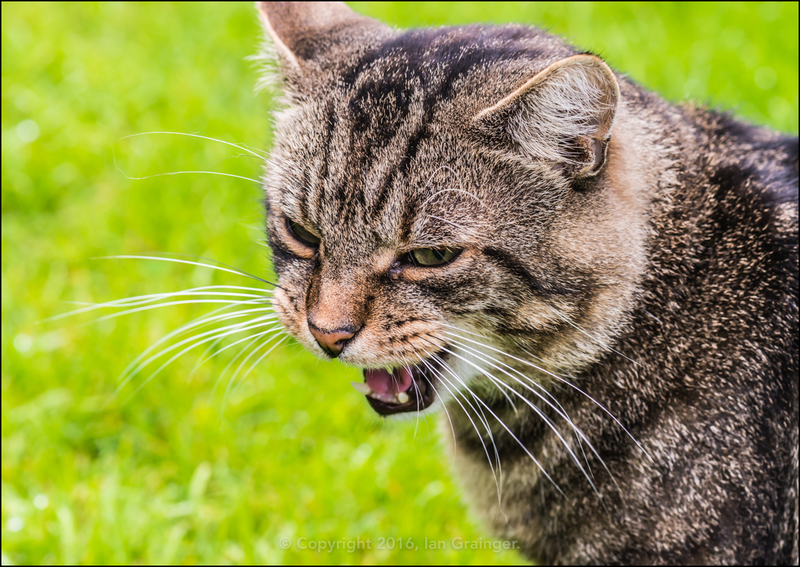 High drama! Hmm, anyway, a young Magpie (Pica pica) seemed very upset that a Collared Dove (Streptopelia decaocto) wanted to sit in the tree with it. 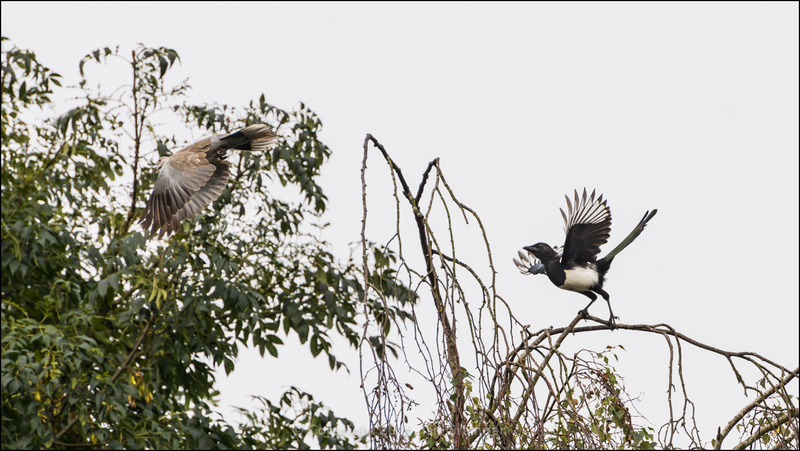 Every time the Dove landed, the Magpie set off after it. Very curious as I think Collared Doves have to be one of the most placid birds I can think of. 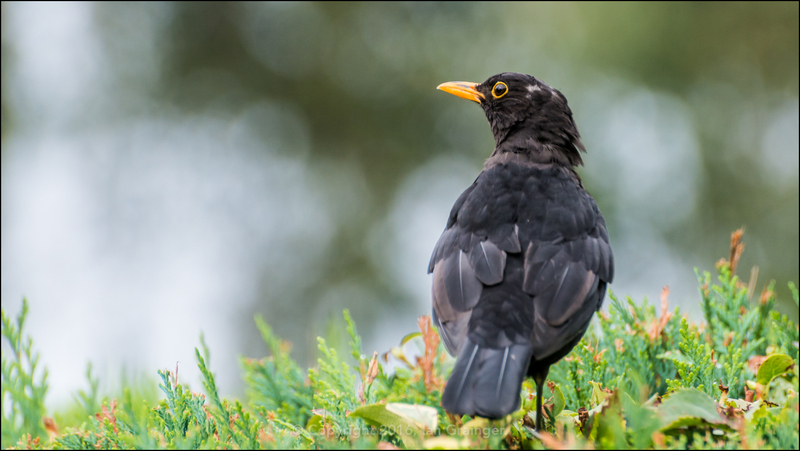 I didn't encounter the juvenile Blackbird (Turdus merula) I'd seen for the past couple of weeks, but one of the parents was constantly patrolling where their nesting site had been. However, I had to wonder if the juvenile was still with us, as I'd found quite a few feathers laying around the garden, and it would explain the vigilance of the parent. 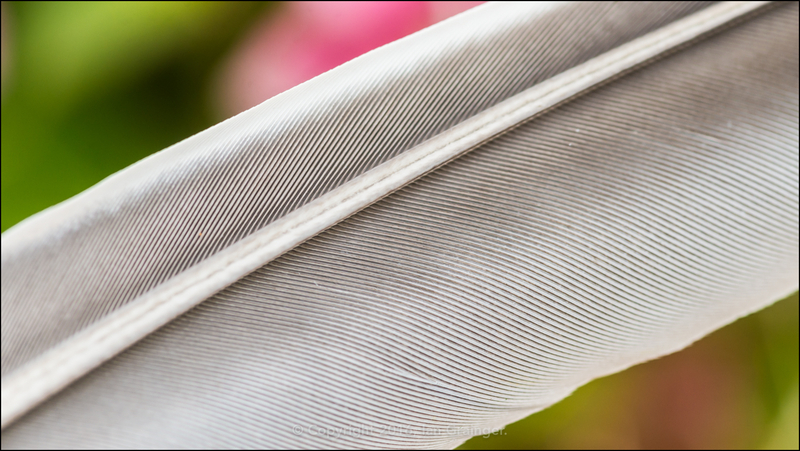 This feather is from a Pigeon, but there were many others, including some smaller brown feathers scattered across the lawn. Of course, those fallen feathers would be nothing to do with my photo shoot companion, would they? Of course not! Butter wouldn't melt, would it? 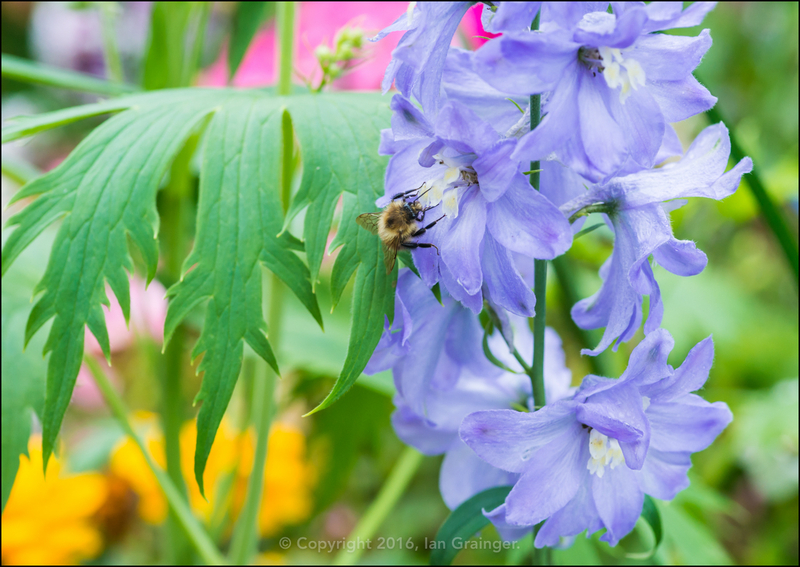 Back in my own garden, I had another lovely coloured Larkspur (Delphinium) starting to flower. I wasn't the only one to love it either, as the number of bees visiting would attest. 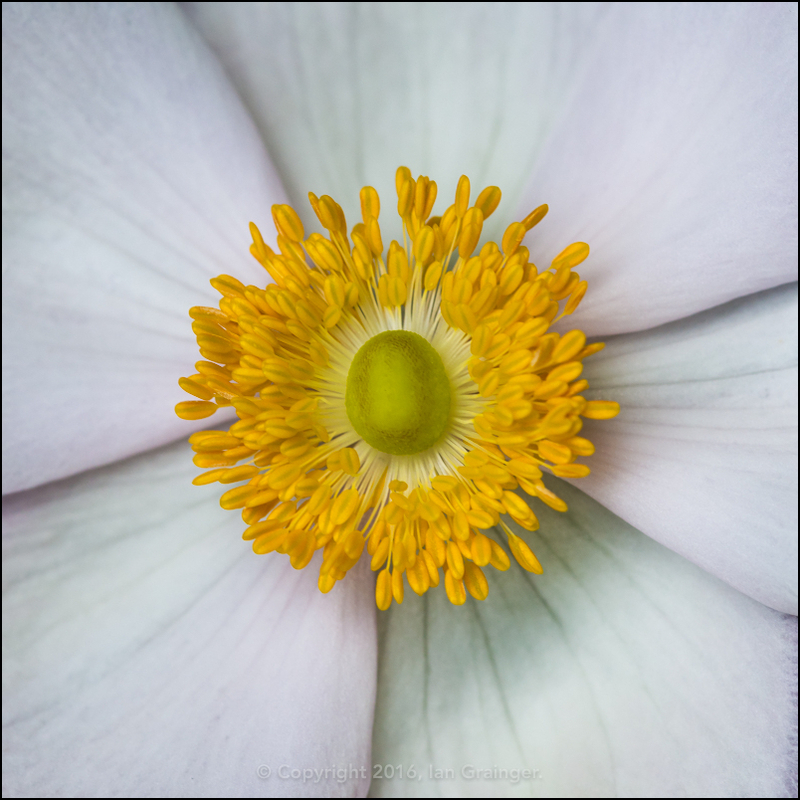 My favourite new flower this week had to be this Japanese Anemone, variety Anemone tomentosa 'Serenade'. It is whiter than I had expected, as it was supposed to be a much deeper pink in colour. 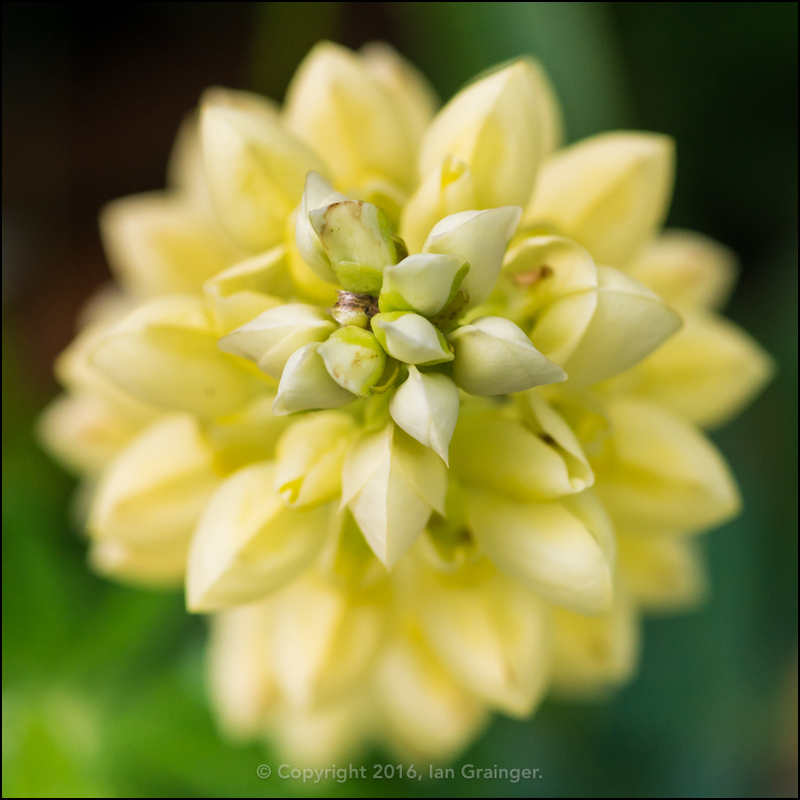 I had quite a few late Lupin's (Lupinus) starting to flower also, with this yellow one being the latest. 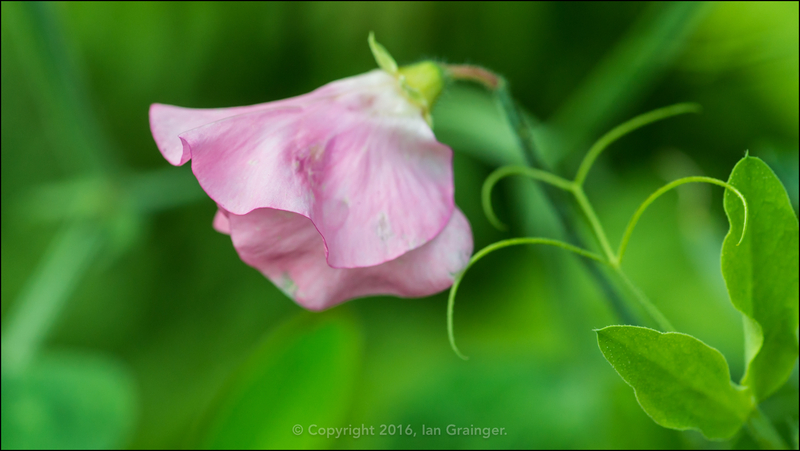 I only have a small number of Sweet Peas (Lathyrus odoratus) in my garden, but they had put on a good display for most of the summer, and were really benefiting from me cutting them to bring indoors. 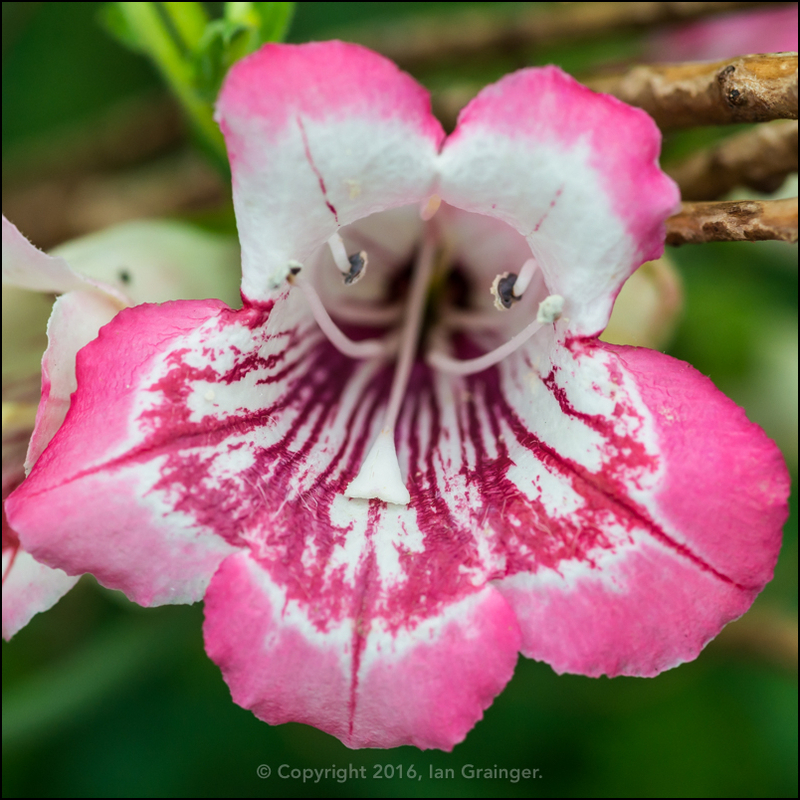 This Penstemon 'Hewell's Pink' has already flowered once this year, and is making a return after I cut it back a few weeks ago. 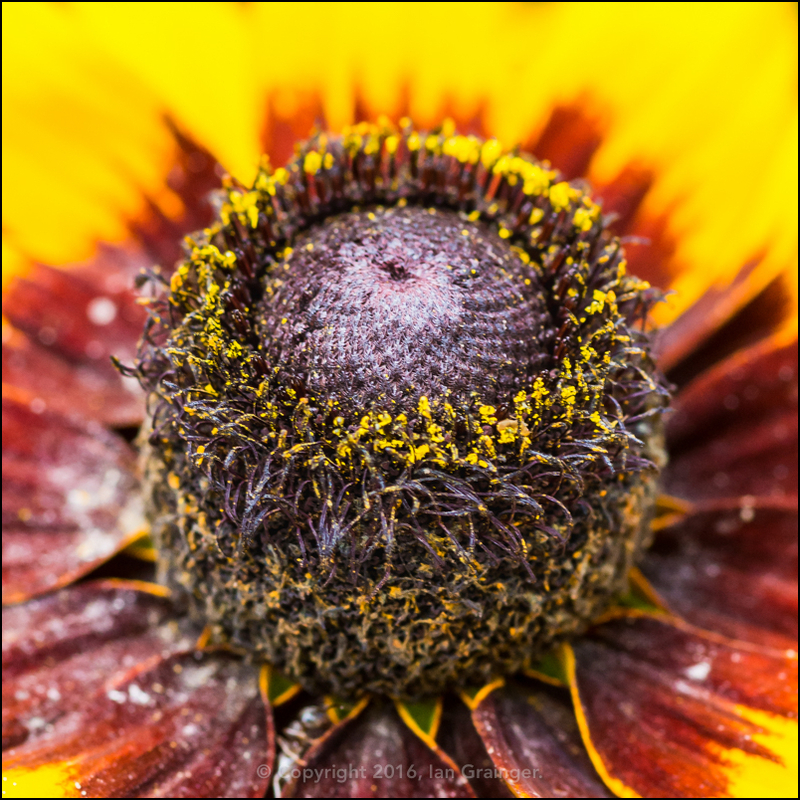 While the Rudbeckia that arrived in my garden unexpectedly have appeared in another patch of ground. Don't you think this one looks rather like a birthday cake? 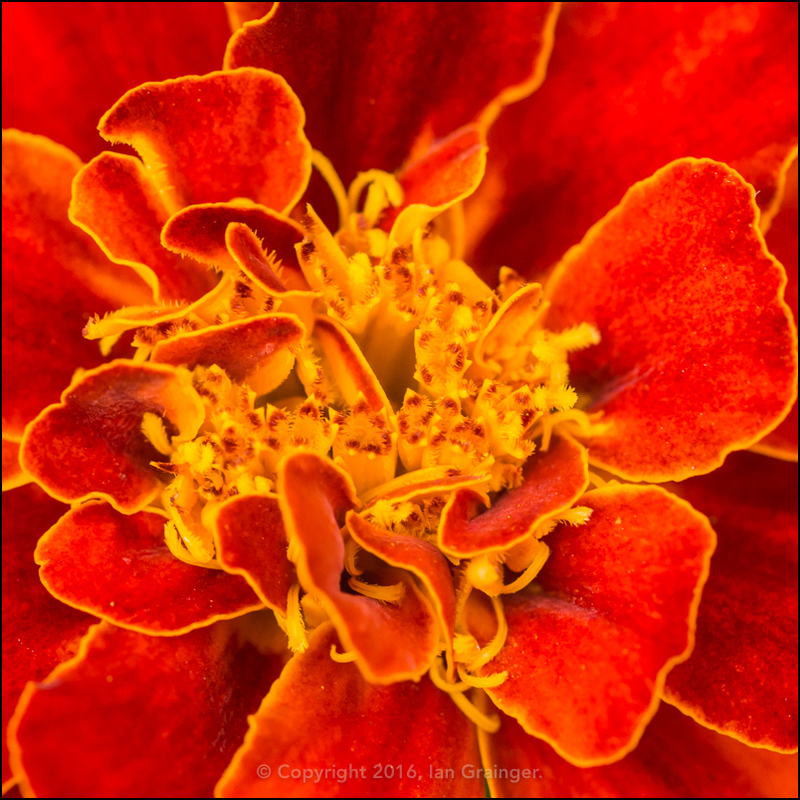 My French Marigolds (Tagetes patula) have been another flower that have performed all summer long, and will continue until the first frosts, as long as I keep removing the spent flower heads. 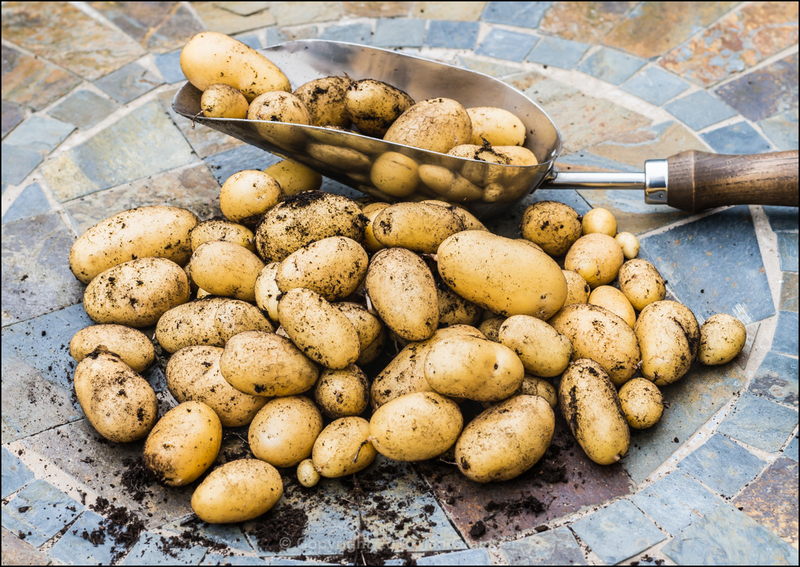 Finally, this week I got to harvest my Charlotte potatoes, and I can tell you that they taste delicious!